Home decor is something that I truly enjoy. I love looking at a room, taking in the personalities of the people in that room and then coming up with a design that everyone will feel comfortable in. I aspire for something stylish yet livable with a lot of functionality AND personality. 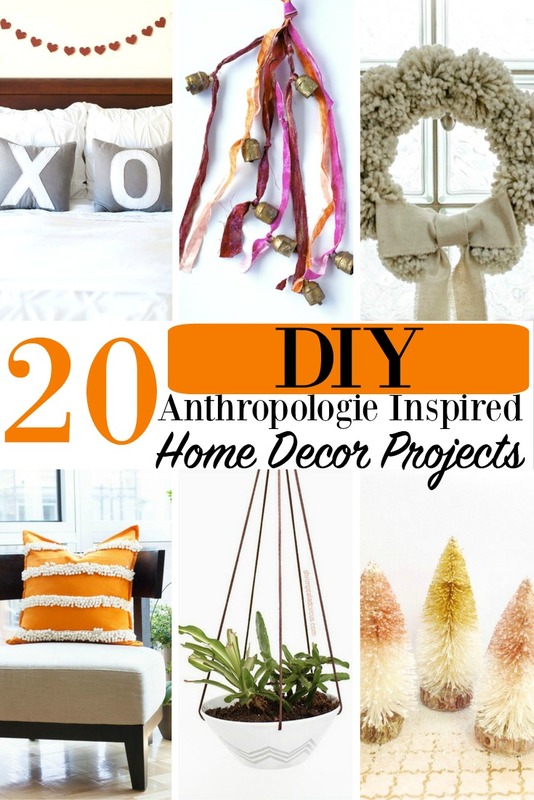 We hope that you love our 20 DIY Anthropologie Inspired Home Decor Projects. oh boy, it never occurred to me to try some Anthropologie hacks instead of just gazing longingly at their merchandise. I’d like to try some of these!